When will be Swiss Family Robinson (CA) next episode air date? Is Swiss Family Robinson (CA) renewed or cancelled? Where to countdown Swiss Family Robinson (CA) air dates? Is Swiss Family Robinson (CA) worth watching? 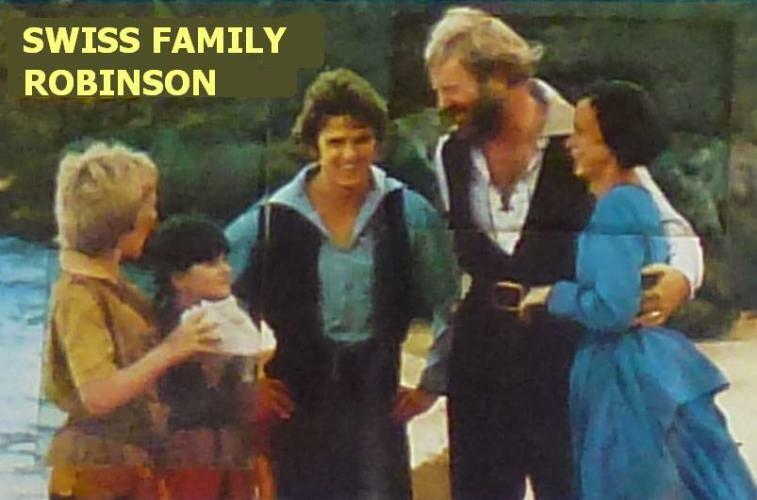 The beloved story of The Swiss Family Robinson on CTV, features an all-Canadian cast. Characters include Diana Leblanc and Chris Wiggins as Elizabeth and Johann Robinson and Ricky O'Neill, Michael Duhig, and Heather Graham as their three children. Set early in the nineteenth century, the Robinson family are shipwrecked on a tropical island and must build a new life for themselves, constantly living in the hope of rescue but having to face the possibility of remaining there for years. The first concern of Johann and Elizabeth is their children. At nineteen, Ernest, played by Michael Duhig, is old enough to help out with the heavy work and assume responsibility for his younger brother and sister. It is difficult for a boy his age to be cut off from his peers. In some ways he is an adult, but in other ways he is still very young. Fifteen year old Franz, played by Ricky O'Neill, has an eager, enquiring mind and a good deal of common sense. He and Ernest both find their nine-year-old sister Marie a trial at times, but Heather Graham as Marie remains undaunted by their scorn. EpisoDate.com is your TV show guide to Countdown Swiss Family Robinson (CA) Episode Air Dates and to stay in touch with Swiss Family Robinson (CA) next episode Air Date and your others favorite TV Shows. Add the shows you like to a "Watchlist" and let the site take it from there.